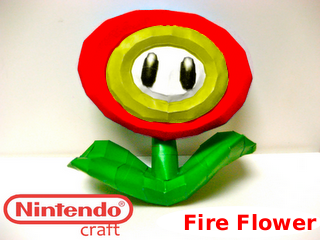 Fire Flowers are power ups in the Mario series that give the player a white suit and the ability to shoot deadly fire balls. They are found mainly in ? boxes or in Toad stores. Fire flowers are a step up from the widely known mushrooms.